For the uninitiated: Giselle is a romantic ballet in two contrasting acts, which was first performed in the first half of the nineteenth century in France. In essence, Giselle’s storyline is comprised of the passions and dramas that make humans tick, i.e. the cycle of love, deceit, heartache and ultimately forgiveness. What sounds like what could be a cliché-laden exercise is one of the most iconic and hauntingly beautiful performances on this earthround and even if you perceive ballet to be “not your thing”, it shall prove hard to not be won over by the story of this classic tale, which has never lost relevance. Two acts are juxtaposed: What starts off in a naturalist forest environment is followed by activity within the confines of an otherworldly cemetary. Maina Gielgud’s production is traditional in the best sense as it puts the focus firmly on the expression of the dance and has both characters and the story clearly identified, so no effort is needed to follow the narrative. The sharp yet subtle and evocative stage sets of the two acts is detailed and rich courtesy of Peter Farmer, which in both cases is embedded by William Akers’ lighting which adds nuances on the dancers performances, highlighting their features, which adds another dimension specifically to the second act. Adolphe Adam’s score reinterpreted courtesy of Orchestra Victoria under the guidance of conductor Simon Hewett frames Australian Ballet’s incarnation of Giselle in a lively and engaging context that does not let up throughout both acts and supports the narrative succinctly. Australian Ballet’s reimagined Giselle is a tour de force of visually compelling and physically thrilling dance theatre group work fuelled by passion and visceral, life affirming energy, which finds its most impressive expressions in the vividly acted romantic duets and fluidly danced pas de deux. 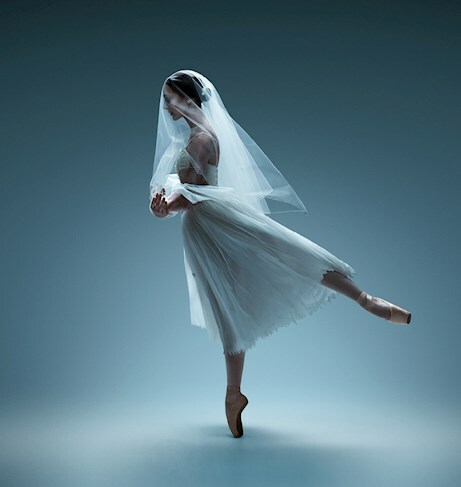 Thanks to powerful and theatrical performances that have both depth like this and radiantly convey the passions the main protagonist are driven by, Giselle shall keep shining undimmed.